I love Greek food! I could eat Greek salad, feta, hummus and pita chips everyday. The thing I like most about Greek food is it’s generally pretty healthy too. 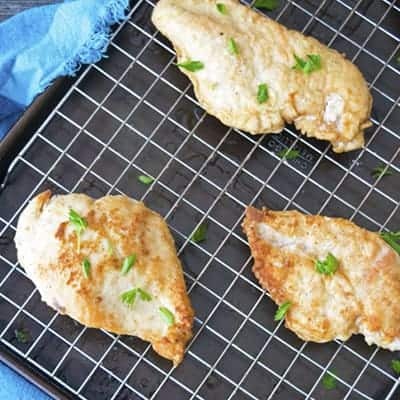 This Easy Greek Chicken is my go to recipe when it comes to chicken. We usually eat this chicken over All-Purpose Brown Rice and Roasted Vegetables. Then I use the leftover chicken for pitas, salads, and even pizza throughout the week. 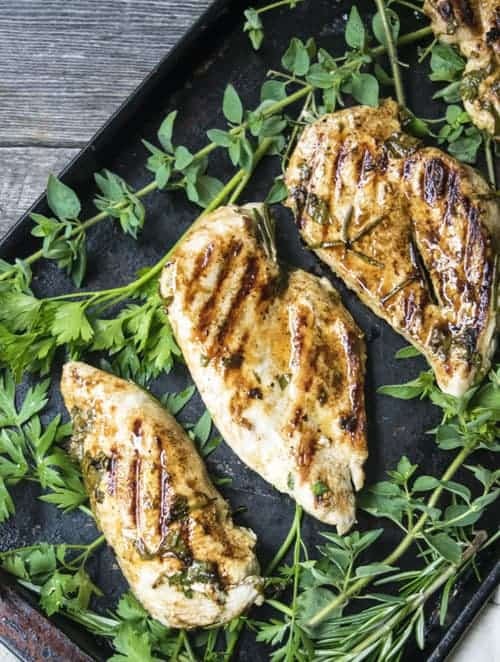 This Easy Greek Chicken recipe is packed with flavor, but only takes 30 minutes to make. It is perfect for a fast quick weekday dinner. Throw all of the ingredients into a gallon size sealed plastic bag. Place in the fridge to marinate for 15-20 minutes. 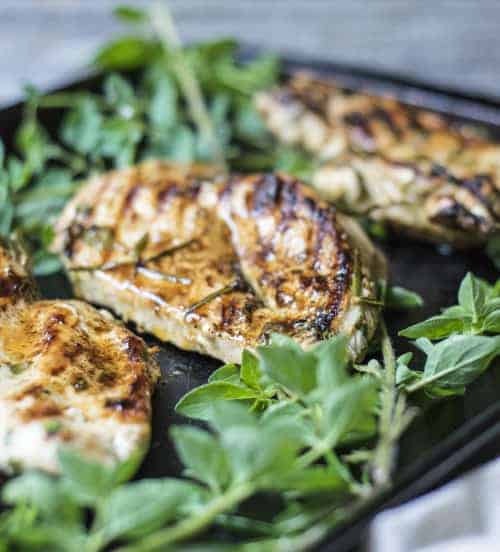 Heat a skillet or grill pan to medium high. Once the chicken has finished marinating, place each piece on the hot skillet. Cook each side for 7-10 minutes (If the chicken is really thick, it could take longer). 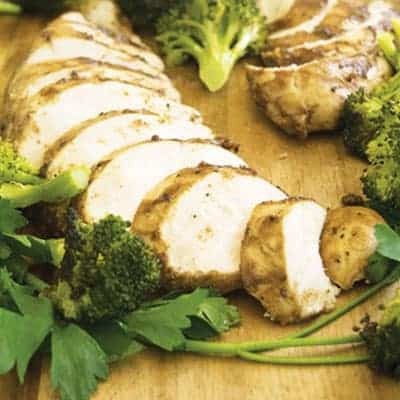 I like to slice my chicken breasts in half length wise to cut down on cooking. It also allows you to stretch out your chicken over multiple days, which save money! 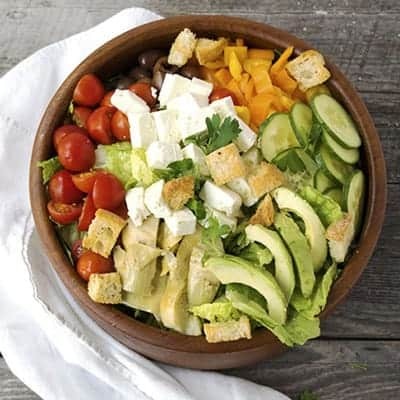 Use up your leftover in this Big Greek Salad! These Chicken Cutlets are pretty good too!